"We need to blow up IRL...It needs to be (known as) IndyCar. To the purist, (IRL) is a negative acronym. We need to get away from using it... (we need) some sort of press statement to show that (IRL) is dead. We need to let people understand we're trying to change." - IRL and/or IndyCar CEO Randy Bernard on roses, names, and how sweet they don't smell. On a side note, "My Name Is IndyCar" doesn't have quite the same je ne sais quoi. Not real convenient for you, huh Jeff? At the same time, I understand completely where he's coming from. 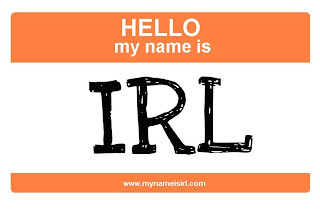 The name "IRL" will always have a slightly negative attachment to it - as will Champ Car. I feel like true change in the series' perception won't come until the cars and engines change too. I still view the Dallaras as the IRL cars... and pine for the Panoz and Lola chassis in Champ Car/CART. Let's just concede that eventually every sanctioning body is gonna be viewed with hatred in this sport. There's never been any exception in the past; why start now? I'm with Leigh on this. Leigh, Catie...right there with you. Chris, good point as well. Sorry, Jeff. Shall we start working on the site's epitaph now? Or should we wait until the official press release comes down from Randy's office? @pressdog I believe Jeff will summon the spirit of Prince, calling this blog the "blog formerly known as", and changing all printed references to "the crossed flags" symbol. Are you offering to design a squiggly design for Jeff? Since the MERGER I have been callin 'em "INDYCARS" & the "INDYCAR SERIES". The tagline on the series logo reads "IZOD Indycar Series". The IRL is like IMSA in the ALMS... it has been the sanctioning body. Don't see any issues with INDYCAR being the SB of USF2000, Lights & the ICS itself. well, that or old and creepy. Well, same as "My Name Is Earl" got cancelled, things can change here. How about "MyNameWasIRLnowItsSomethingElse.com"? "Just love me for who I am!!!!"